Southwest School of Woodworking is pleased to announce another special class taught by master craftsman, Michael Fortune. 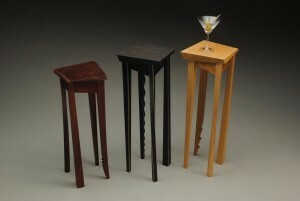 Michael will be teaching the design and building the “Martini Tables” shown. The students will build two of these delightful tables under guidance of Michael and his ever capable assistant, Kelly Parker. Using the principles and skills gained from the first two tables the student will be free to exercise their design creativity to do the others, of course, for those who prefer, Michael help with their designs. 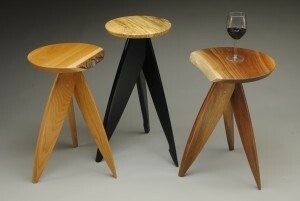 This is a class offered by the Southwest School Of Woodworking in downtown Phoenix.